Nineteen year old Alba Ashby, an intellectual prodigy, feels she has nothing left to live for. Unable to explain why, she finds herself wandering the streets of Cambridge, her hometown, and is drawn to knock on the door of a building she has never seen before: 11 Hope Street. The blurb describes this book as "magical realism" though I'd go so far as to say it fringes on "fantasy". I sincerely liked the concept of a "last chance saloon" for women who have otherwise lost hope, particularly with the promise of previous inhabitants (George Eliot and Beatrix Potter among them). Unfortunately, the execution did not live up to my expectations. Most (if not all) of the characters in Hope Street seemed to rely on cliches, rather than development. Including the main character, Alba, which was a particular disappointment. In addition, there there were way too many threads, too many characters (particularly the "former residents") for me to truly appreciate the story. It's a situation of "too many cooks spoiling the broth". I found myself reading on as quickly as possible simply to discover Alba's big secret (which was surprising in one sense, but disappointing in the lack of depth). Yes it was whimsical and easy to read, though I was glad to have purchased only a digital download as this is not a book deserving of a permanent place on my bookshelves. 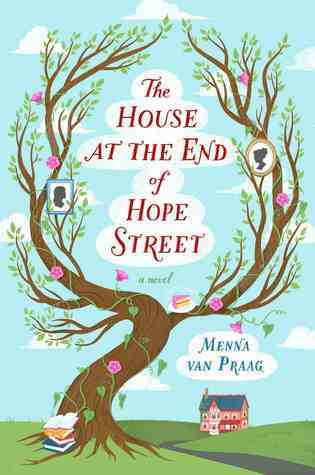 The House at the end of Hope Street is much more likely to appeal to readers of chick-lit, or for a quick and easy holiday read. While fine for a sense of escapist fun, it lacks depth and originality. Rating: 2.5 out of 5 stars.